UK house price growth remained soft on both an annual and monthly basis in March, according to the latest House Price Index from Nationwide. Month-on-month, the average UK house price rose by 0.2% in March, which is up from 0.0% in February. Annual growth also improved last month, from an average of 0.4% in February, to 0.7%. This takes the typical UK property value to £213,102. 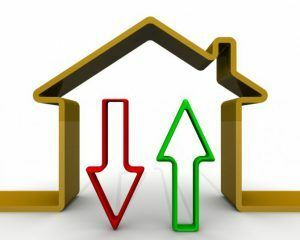 Robert Gardner, the Chief Economist at Nationwide, says: “UK house price growth remained subdued in March, with prices just 0.7% higher than the same month last year. He continues: “Measures of consumer confidence weakened around the turn of the year, and surveyors report that new buyer enquiries have continued to decline, falling to their lowest level since 2008 in February. Gardner comments on the country-by-country data: “Northern Ireland remained the strongest performing home nation in Q1 [the first quarter], although annual price growth softened to 3.3%, from 5.8% last quarter. Scotland saw a slight pick-up in annual price growth, to 2.4%, while Wales saw a marked slowing in growth, to 0.9% (from 4.0% last quarter). He also assesses regional statistics: “London was the weakest performing region in Q1, with prices 3.8% lower than the same period of 2018 – the fastest pace of decline since 2009 and the seventh consecutive quarter in which prices have declined in the capital. This trend is not entirely unexpected, however, as it follows several years of sustained outperformance, which left affordability more stretched. Policy changes that have impacted the buy-to-let market in recent years are also likely to have exerted more of a drag in London, given that the private rental sector accounts for a larger proportion of the housing stock in the capital than elsewhere in the country. Lucy Pendleton, the Founder Director of independent estate agent James Pendleton, gives her thoughts on the report: “London’s annual 3.8% fall in the past quarter is a bruising start to the year. 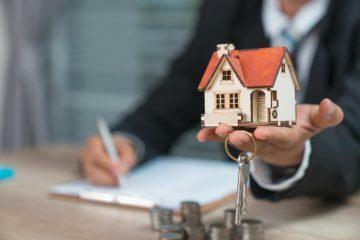 “The silver lining for the capital is that, on the doorstep, there’s every indication that price falls are pulling buyers back to the table, threatening improvements in transaction levels. This will leave London better prepared for all eventualities to Westminster’s self-defeating and interminable Brexit waggle dance. “Some of the regions are doing remarkably well by comparison, but it is the performance of London and the South East that is dragging the overall barometer for England down, as it experienced its first property price fall since 2012.